← Winter Newsletter is here! WFPSW PO Box 1781 Ojai, CA 93024. 1. Be a model for Social Justice from the inside out– WFPSW is dedicated to being an organization that reflects the change we wish to see in the world. We respect workers rights by making sure our staff has fair contracts and working conditions. We use horizontal participatory decision making, we bank at at a non-corporate community bank and we try to be green by recycling and reducing waste. In 2014 WFPSW wants to take it a step further by making sure our delegations, events, membership and leadership is accessible to youth and communities of color. Support our Equity and Inclusion scholarship fund. 2. Install an International Advisory Board- WFPSW bylaws and purpose states that the organization ultimately takes direction from groups that suffer the most from harmful policies and practices. In 2014, WFPSW plans to appoint an international advisory board representing civil society from Colombia, Cuba and Honduras as well as migrants in the U.S. This international advisory board will make annual recommendations to the WFPSW board of directors regarding existing and proposed programs and policies. Help WFPSW to bring one of our new international advisory board members to the U.S for a multi-city and state speaking tour. 3. Organize Delegations within the U.S-Our international solidarity delegations will take you to Cuba, Colombia, Honduras, Venezuela or Mexico to learn about human rights and social justice struggles abroad but in 2014 WFPSW would like to organize more domestic delegations that connect to the struggles we have right here at home. In 2014 we are planning a California migrant farmworker delegation, a delegation to the Arizona/Mexico border, a Hawaii Climate Change tour, a Los Angeles failed Drug War delegation and a San Francisco Bay Area Environmental Racism tour. Contact us if you would like to join one of our international or domestic delegations. 4. 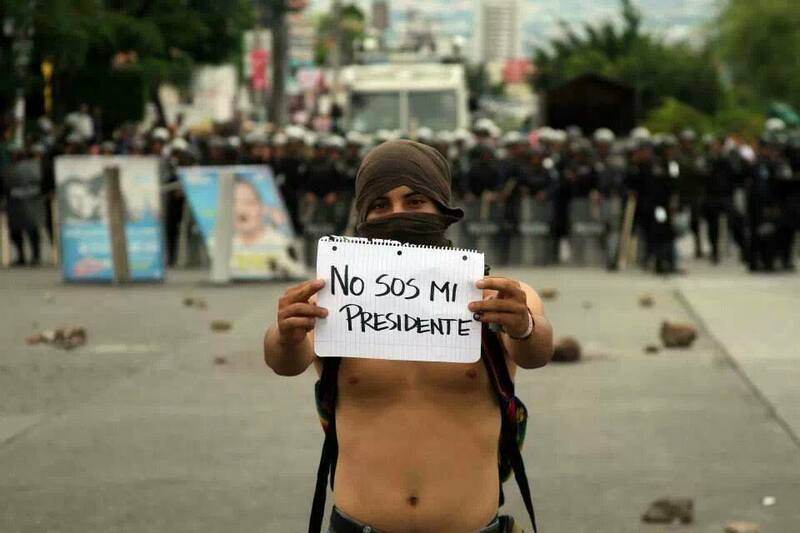 Provide protective accompaniment to Hondurans resisting repression-In 2013 WFPSW sent delegates to observe in the Honduran elections and WFPSW members responded to dozens of urgent actions from Honduras. WFPSW hosted Ana Rivera, a leader of the Honduran resistance on a speaking tour of 3 states and 11 cities which contributed to a statement of neutrality from several U.S congress members. Despite the new leadership that was elected in the contested Honduran elections, political assassinations and death threats have continued. In 2014 WFPSW would like to increase protective accompaniment measures for our Honduran partners by funding international accompaniers and delegations to visit and stay with our partners when they request international observers. WFPSW would like to set up an emergency fund for Honduran human rights defenders who need to temporarily relocate due to death threats. Please support our Honduras Human Rights Fund. 5. Free the Cuban Five and exercise our right to travel to Cuba– For over 15 years now the Cuban Five have been jailed in US prisons for protecting their home country of Cuba from terrorist attacks. In 2013 we saw Rene Gonzales return home to Cuba and in 2014 we expect Fernando Gonzales to also return home. Meanwhile the remaining three Cuban political prisoners continue to be held in US prisons including Gerardo Hernandez who is serving two life sentences after never having committed a violent act. In 2014 WFPSW renews our commitment to fight for the release of the Cuban 5. WFPSW will also send a licensed delegation this fall to the International Solidarity Conference with Cuba while we continue to fight for Freedom to Travel to Cuba for all US citizens. Contact us to get involved in the campaign to Free the Cuban Five and/or to travel with us to Cuba in 2014. Click here to make a year end gift to WFPSW. Checks can be mailed to WFPSW PO Box 1781 Ojai, CA 93024. Venezuela- 2013 we experienced the passing of a Latin American legend. 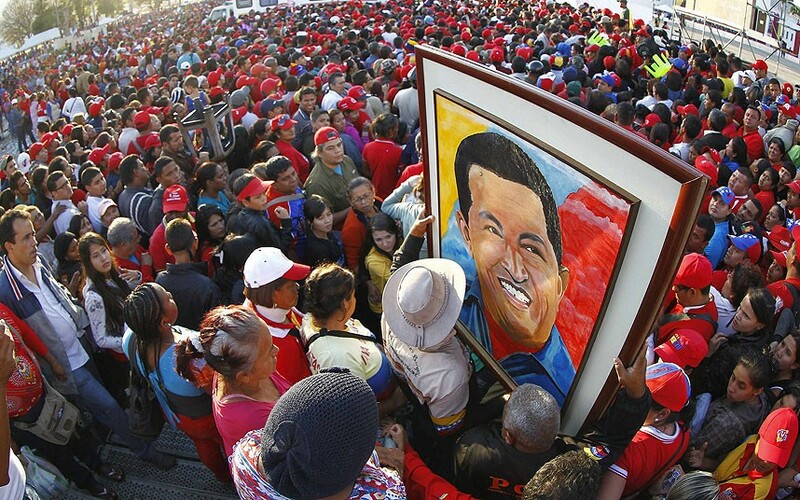 The death of President Hugo Chavez brought millions of Venezuelans to the streets to memorialize and mourn the passing of their leader. WFPSW stood with the Venezuelan people as they went to elections after the loss of their President. WFPSW held a webinar report back on the Venezuelan elections and led an action alert for US neutrality in the Venezuelan electoral process. 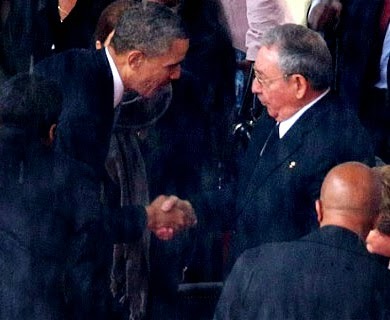 Cuba- The infamous handshake– In 2013 we all got to witness the handshake between U.S President Barack Obama and Cuban President Raul Castro. Only the second U.S President to do so in 5 decades. In 2013 WFPSW recruited several congress members from California and New Mexico to send a letter to President Obama encouraging him to support more diplomatic relations with Cuba and freedom to travel to Cuba for all US citizens. 3. Honduras Elections: The end of Two Party Rule-In November of 2013 Hondurans went to the polls in historical elections. After 100 years of two party rule in Honduras, a new leftist party emerged after only 2 years in the making. Even though the new LIBRE party narrowly lost the highly contested Presidential elections, LIBRE gained 38 seats in congress winning the second largest majority and ending 100 years of 2 party rule. WFPSW sent delegates to observe the elections and human rights observers to accompany communities facing repression. Stop the Deportations-In 2013 we saw brave protests against the unjust US immigration system in an effort to halt deportations and the separation of families. In July, 8 undocumented Dreamers crossed the US/Mexico border and re-entered in protest, in November President Obama’s speech was interrupted by an immigrant rights activist, and in December activists shut down ICE offices in L.A and DC. Pictured below protesters block a snowy New Jersey road in the name “Not one more deportation”. WFPSW will continue to participate in the struggle for migrant rights in 2014. 5. 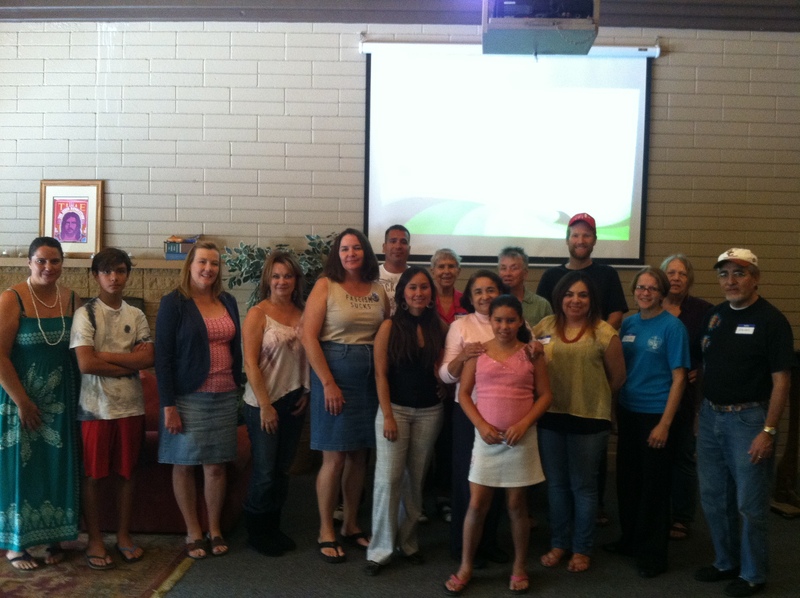 Environmental Justice, Human Rights and Sustainability in the Americas- WFPSW Ojai Retreat-In September WFPSW held is annual conference and retreat in Ojai, California focussed on the links between human rights, climate change and environmental sustainability. We participated in workshops on Colombia, Honduras, Climate Change and non-violent communication with special guest speaker Ana Rivera from Honduras.